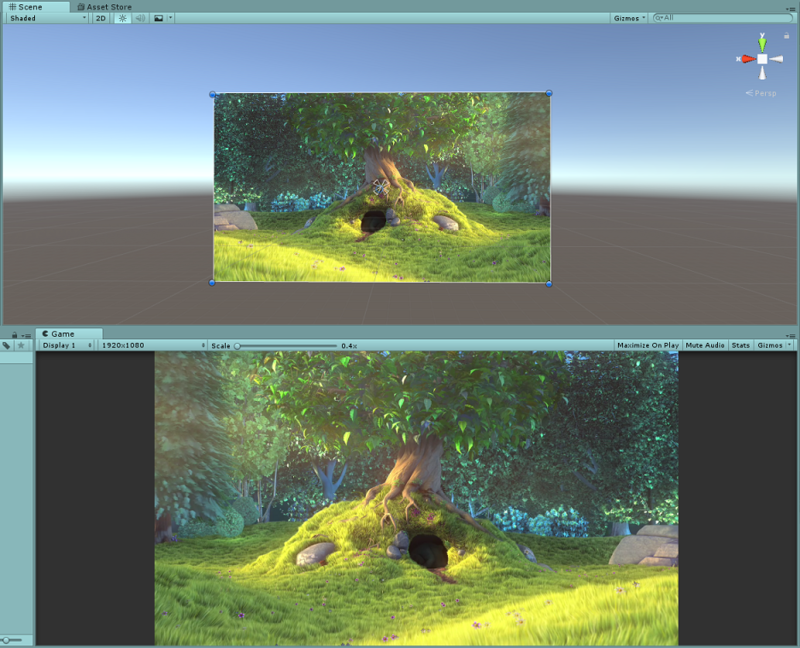 How to create a movie screen with unity, and to set it to keep the right resolution and ratio at all time. 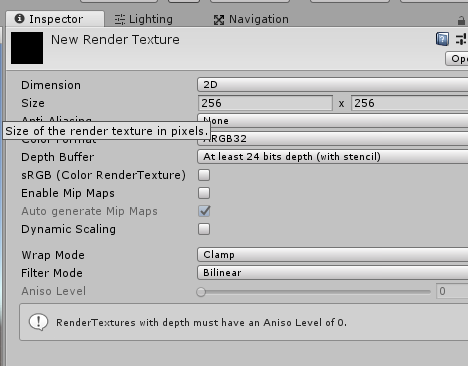 Next, to be able to render the video on screen, you will need to create a special type of texture: a Render Texture. 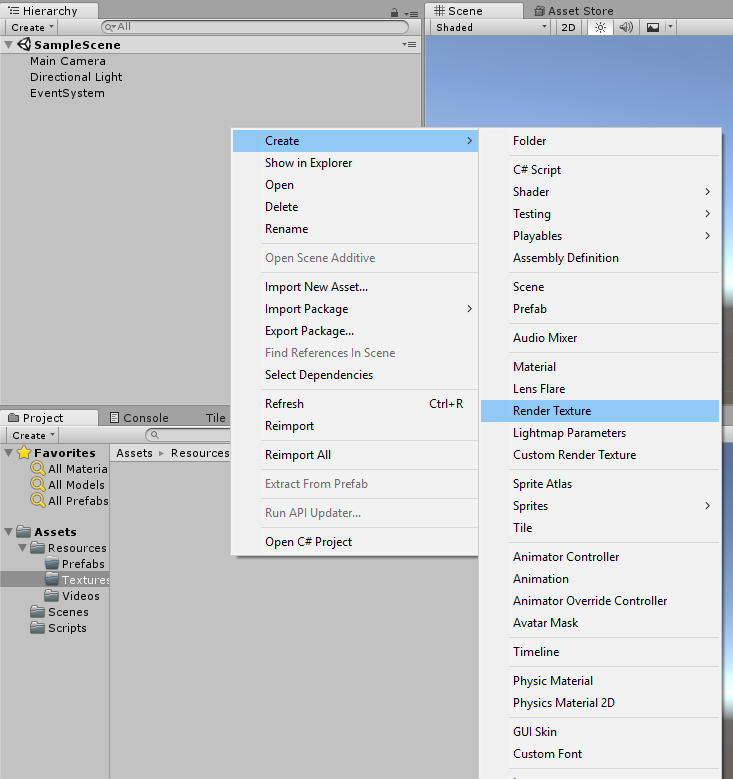 To do that, make a right click on the Project Window, go to create and select Render Texture. 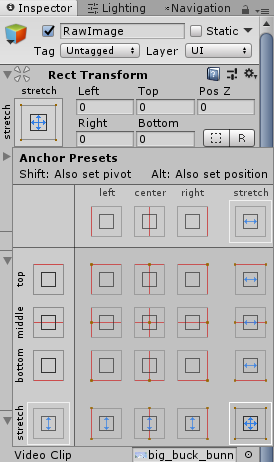 Then, to be able to display this render texture on a ui element you will need to create a Raw Image by right clicking on the Hierarchy window and select Raw Image in the UI tab. Make the Raw Image the same size than the Canvas. And set the Anchor to stretch in all directions. 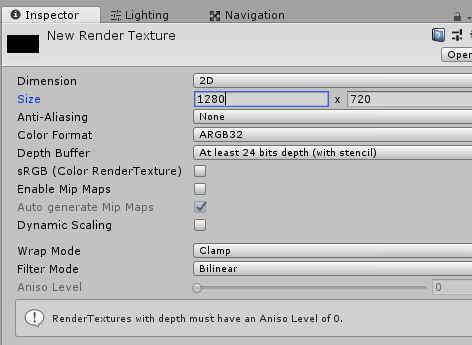 You now have to put the Renderer Texture in the texture element of the raw image. 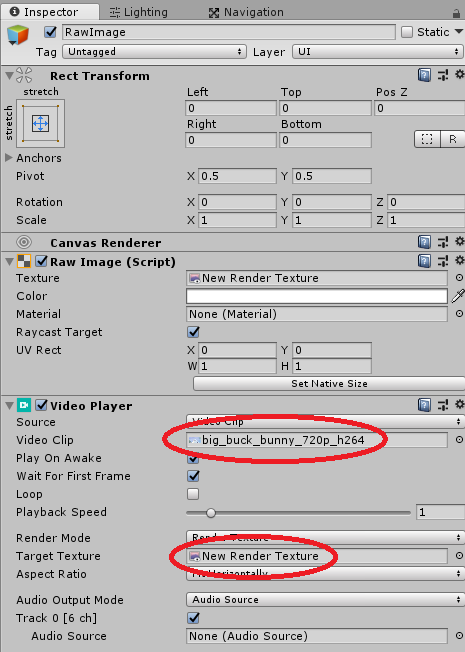 You also need to add a Video Player component to the Raw Image, to drag and drop the video in the Video Clip element and to set the Render Texture as the Target Texture. Then if you play the scene you will notice that the video is playing but the ratio and the quality of the video will be really bad. 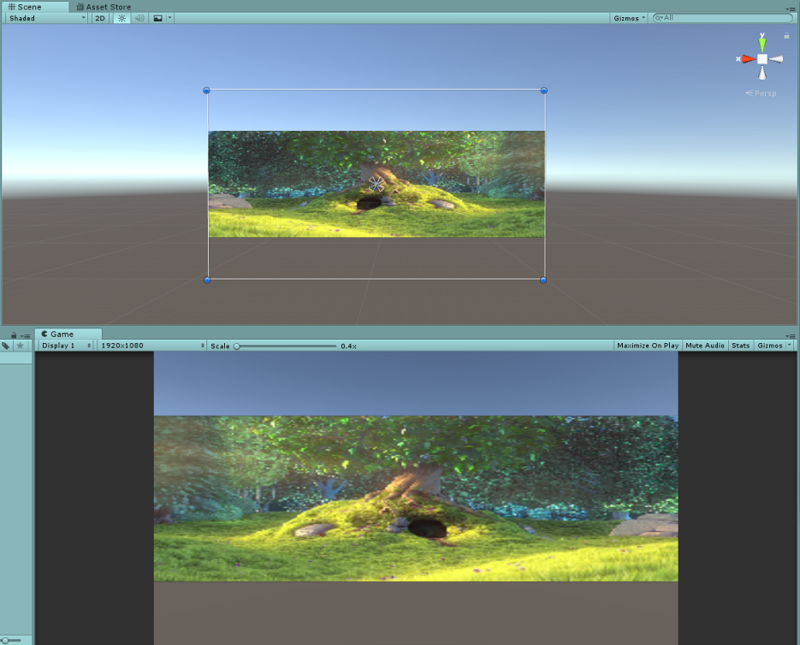 That’s because the size of the Render Texture doesn’t match the size of the video (the video used here is 1280×720). You need to give the Render Texture the same size than the video to make it displaying properly. 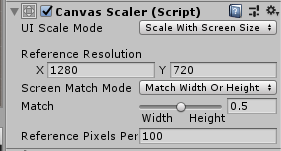 To make the video scale accuratly on different screen size (for exemple on different smartphone size), set the “UI Scale Mode” of the canvas holding the Raw Image to “Scale with screen size”, the “Reference Resolution” the same than the Render Texture, the “Screen match mode” to “match width or weight” and the “Match” to 0.5. 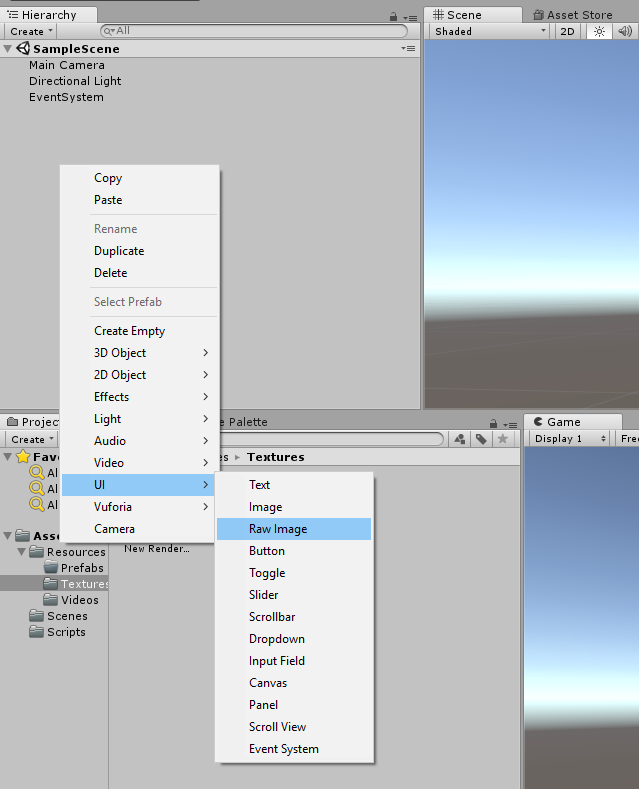 *It is also possible to play a video on a GameObject by putting a video player on this object and setting the “Render Mode” of this component to “Material Override”. (Usefull to render 360 videos for exemple). *You can set the “Audio output mode” of the video player to “Direct” if you want the sound of the video to play, or to put it to “Audio source” if you want to play a separate sound file. (the direct sound mode doesn`t work yet on android smartphones).